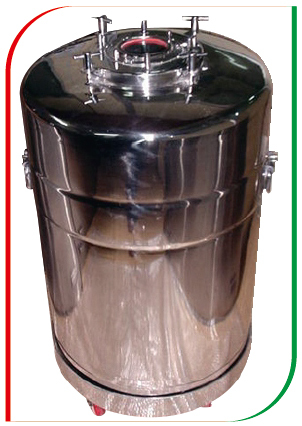 • Ideal In Injectable Section For Filling Sterile Products. • Provided With Inlet - Outlet Nozzle And Safety Valve. • Joints Are Argon Welded. • A Long Tube Is Provided To Ensure Complete Drawing Out Of The Fluid. • Working Pressure of 3KG/CM.Square. • For Air Tight Sealing Silicon “O” Ring is Used.